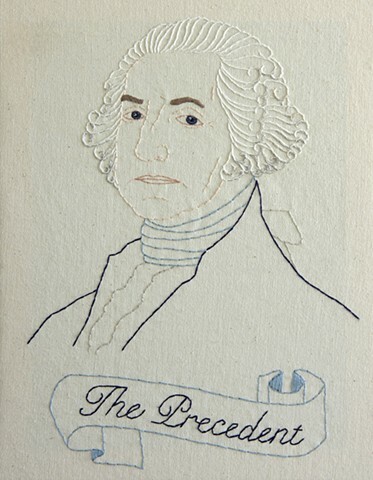 The series, My Presidents, focuses exclusively on the presidents of the United States, intending to uncover forgotten biographies and dismantle myths with the hope of coming to a greater understanding of our current political and social state as a nation. 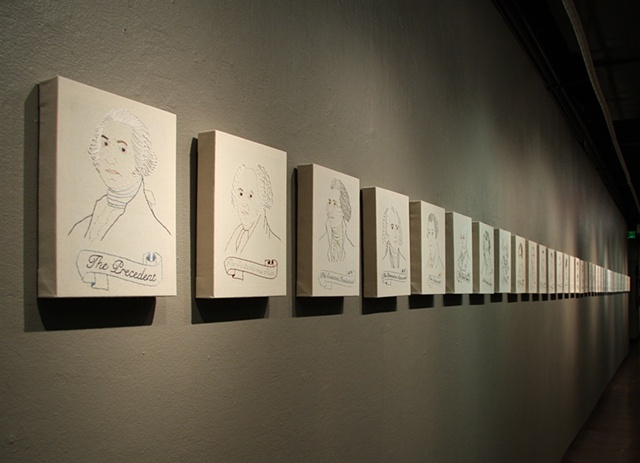 I am interested in the legacies of these men. 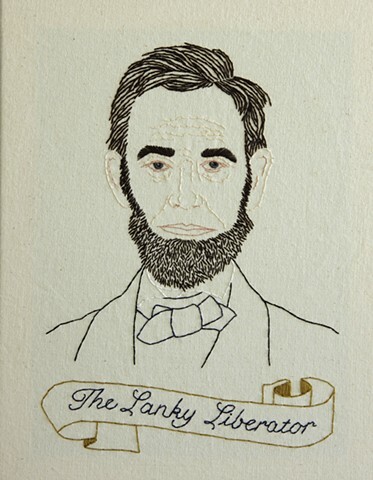 Not necessarily what they are most commonly known for, but what I found to be truly fundamental about their presidencies, how their personalities shaped our country, and what kind of a people they were as president. 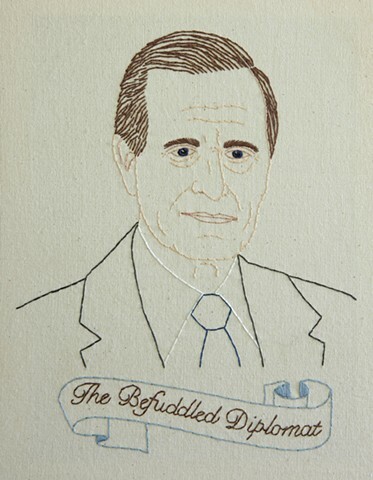 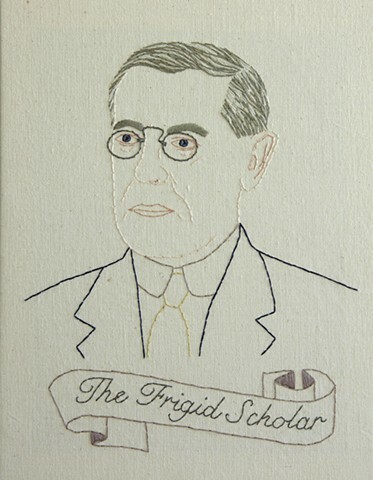 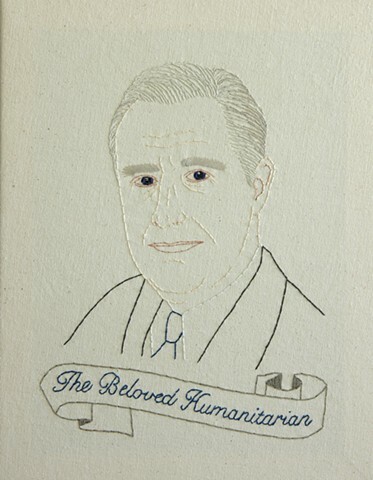 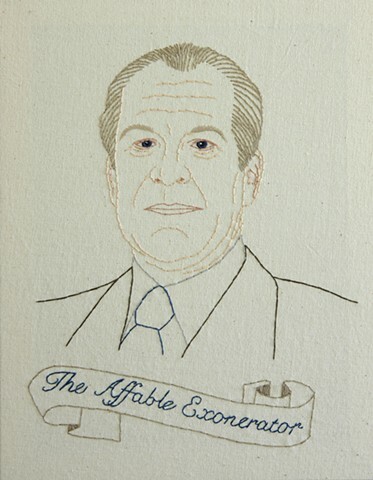 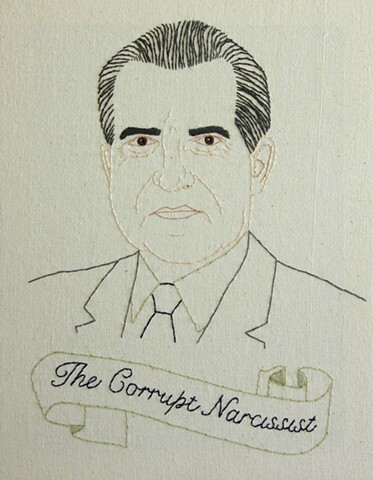 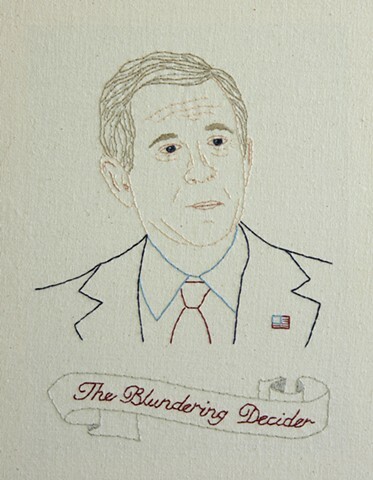 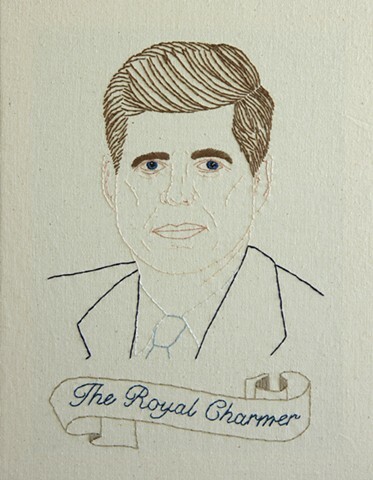 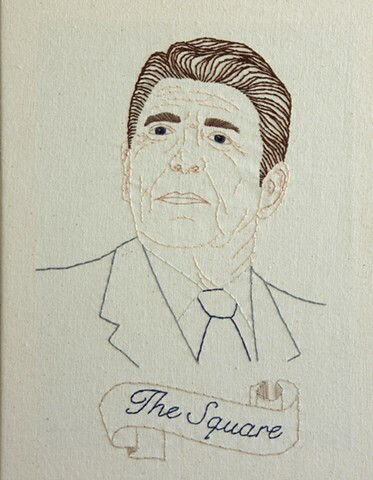 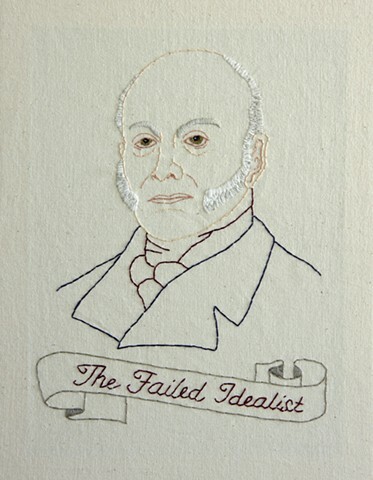 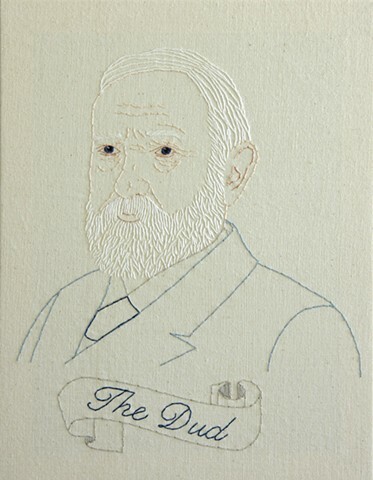 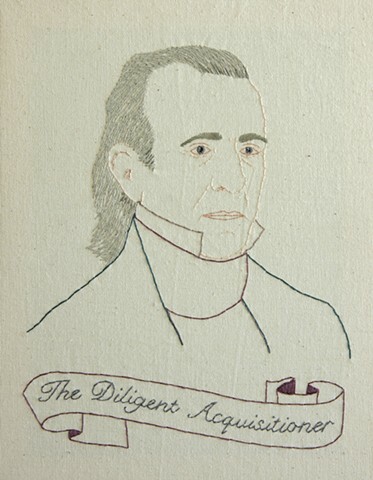 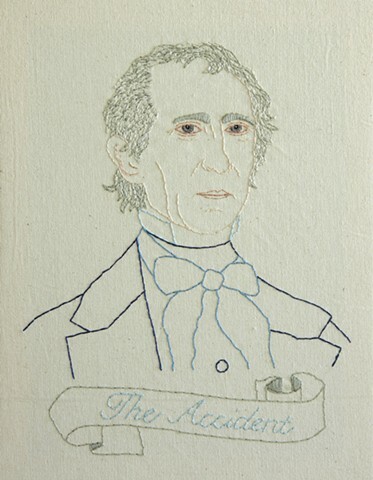 My Presidents consists of a hand-embroidered portrait of every past president of the United States of America. 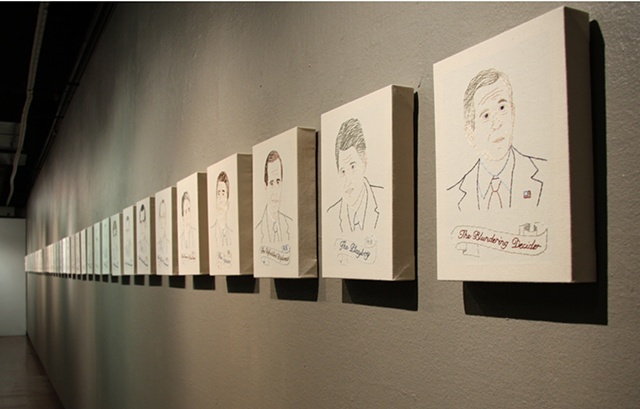 After extensive research, I have given each president a nickname that I feel more accurately describes them -- as a president and a man -- than those nicknames which history has already bestowed upon them. 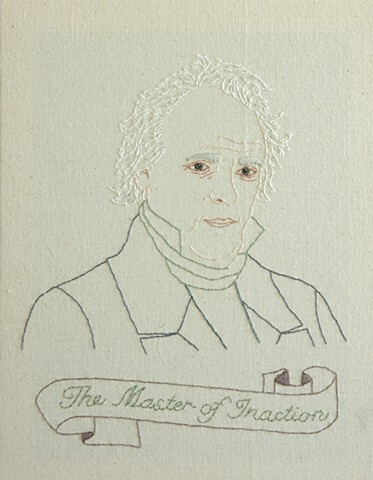 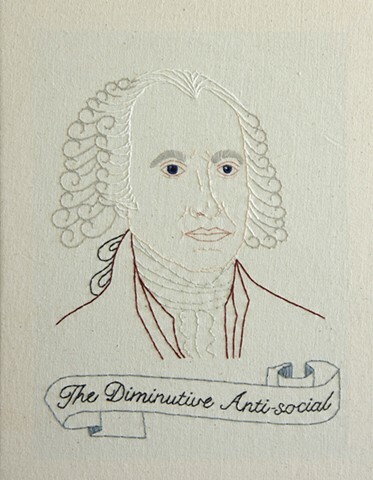 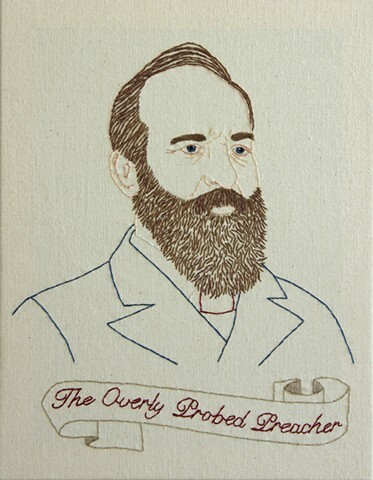 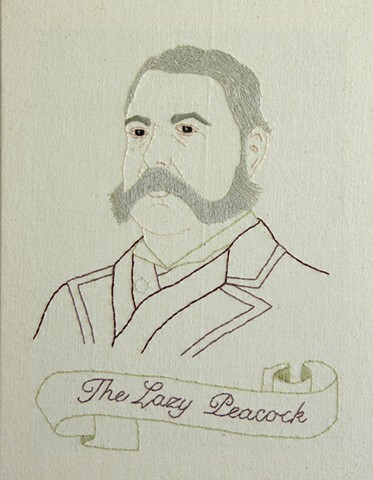 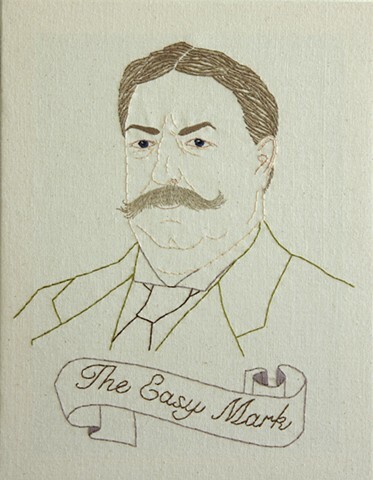 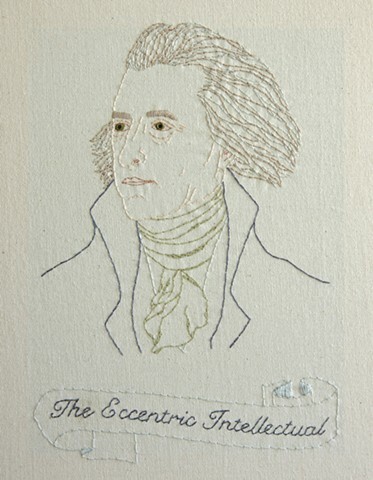 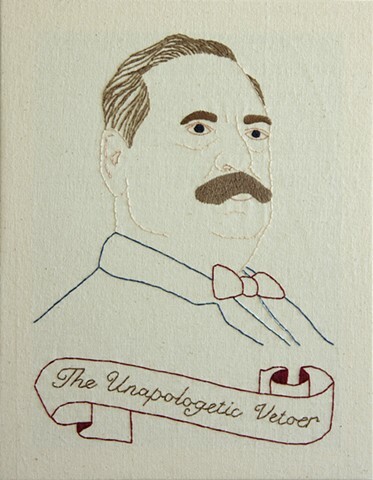 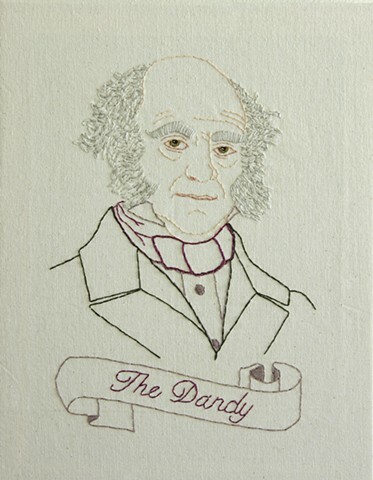 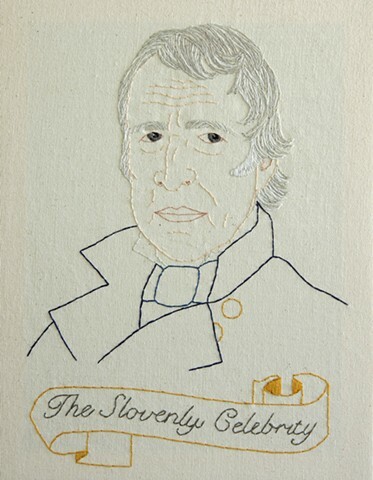 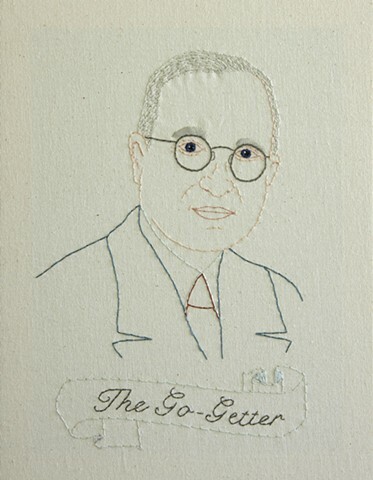 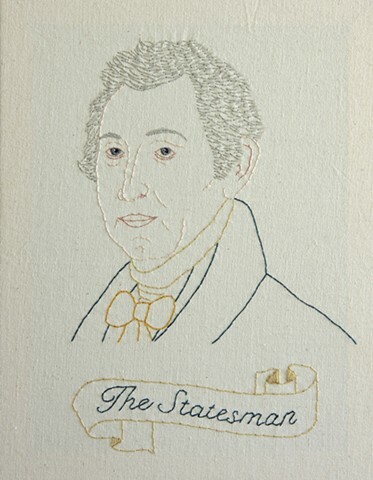 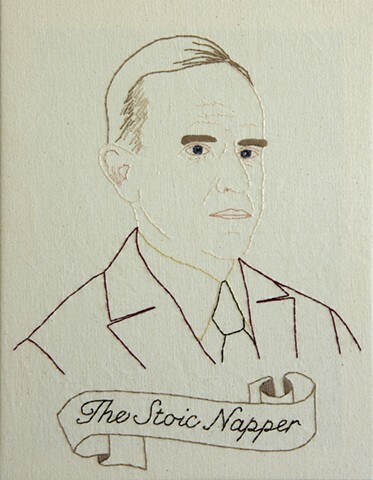 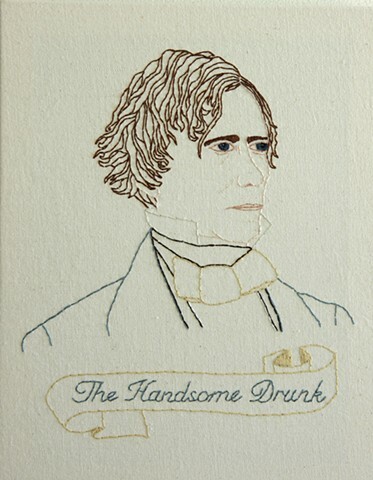 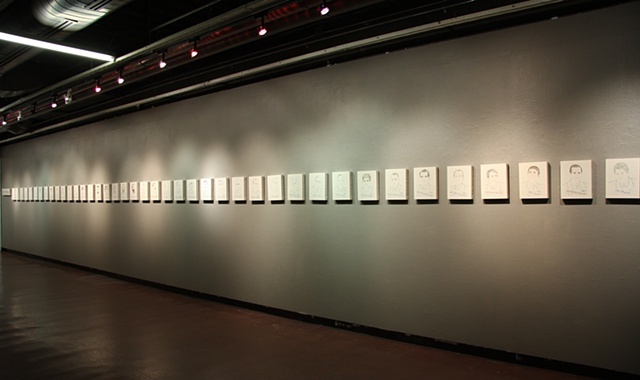 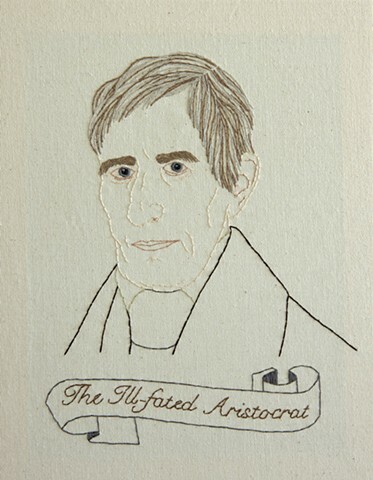 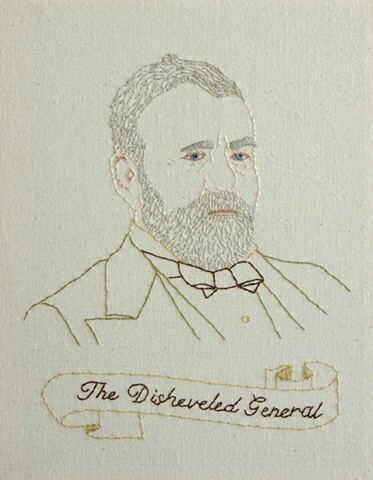 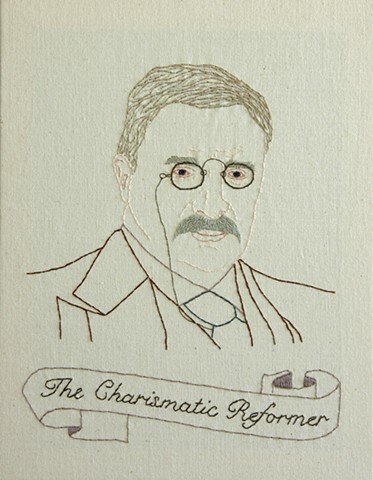 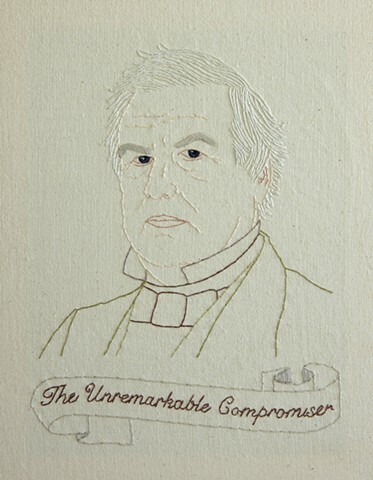 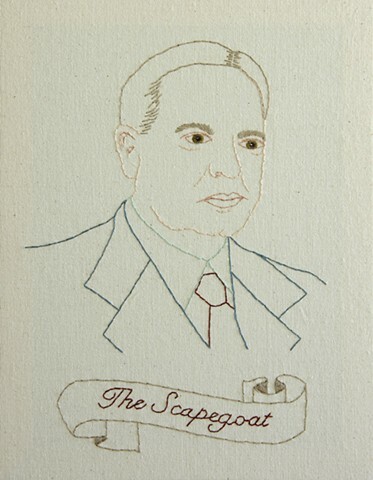 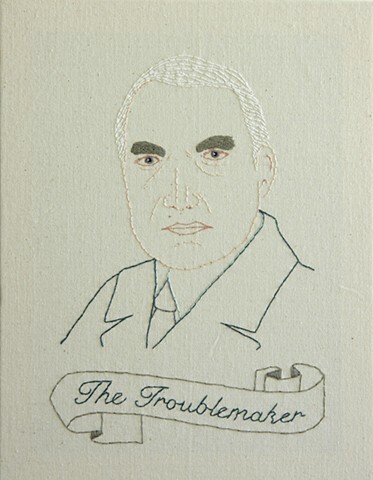 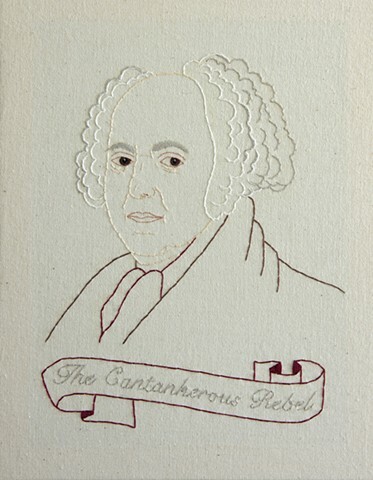 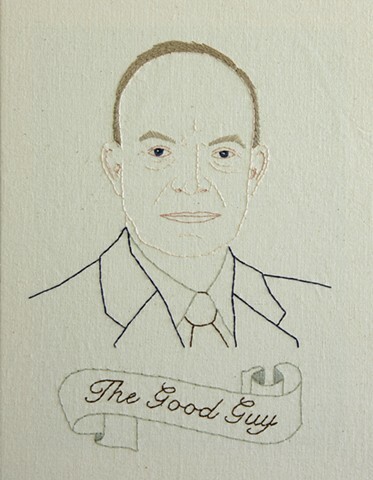 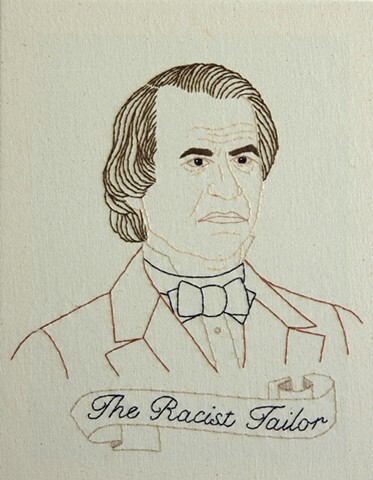 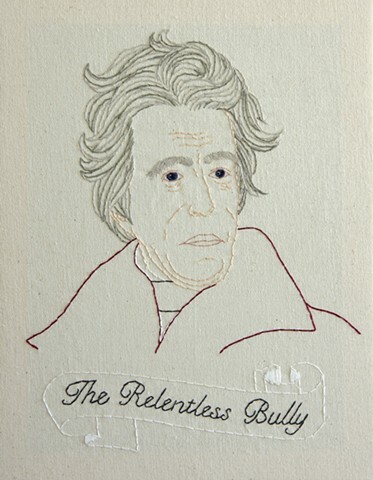 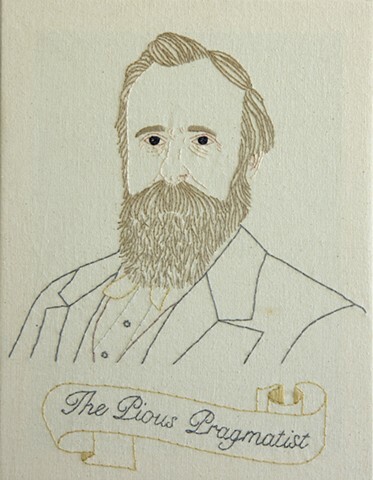 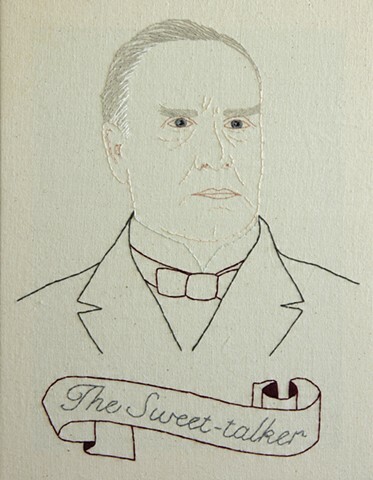 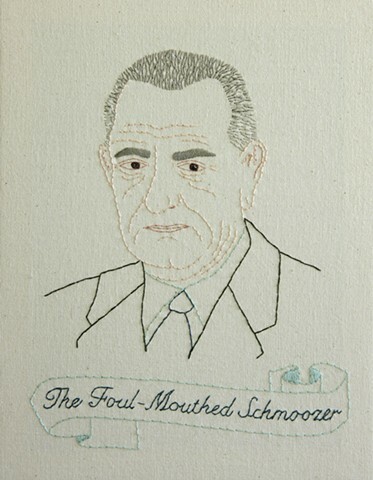 This nickname accompanies their sewn portrait, using my voice and a traditionally women’s medium to re-tell the history of men in power in the United States. 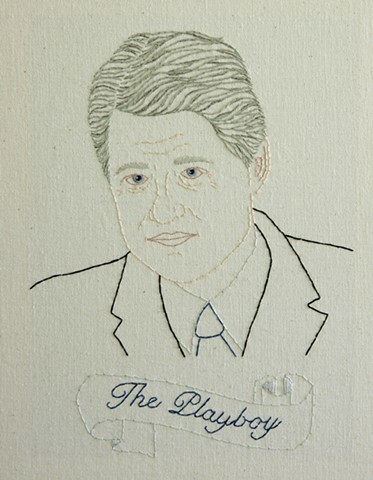 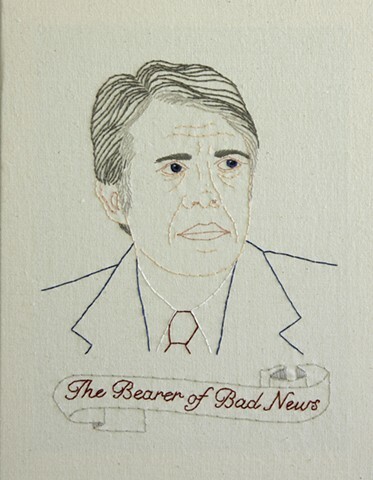 These are not classical oil paintings of our country’s leaders, but folk-influenced portraits of men who become humanized through the tradition of embroidery, hopefully providing a better understanding of their experiences as presidents.